Altair M. Gobo, CERTIFIED FINANCIAL PLANNER™ professional, is a partner at U.S. Financial Services, LLC. Altair has served on the board of directors of the Northern New Jersey Chapter of the International Association for Financial Planning as president and chairman. 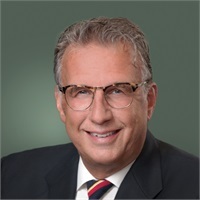 He has also served as an adjunct faculty member, faculty coordinator, and academic advisor for Fairleigh Dickinson University’s Financial Planning Program. In addition, he has served on the board of directors of Fairleigh Dickinson University’s Financial Services Institute. Altair has authored the book Getting to the Green, several published articles and has made guest appearances on CNBC, NBC, ABC, MSNBC, Fox News, Fox Business News, Bloomberg, and CNN.